Joe Cipriano joins me Monday November 25th at 9:30am! If you miss Joe on today's show, listen here. In the past several years Joe Cipriano has also been the “live” announcer for many of television’s biggest events such as the prestigious Grammy Awards which is broadcast live from Los Angeles to 195 countries reaching an estimated 1.7 Billion viewers. Joe Cipriano voiced Emmy Award telecasts Joe has also been the live voice of the 57th, 59th and 60th Annual Emmy Awards broadcasts. Other highlights include “The Blockbuster Entertainment Awards”, “The VH1 Honors”, “GQ Magazine’s Men of the Year Awards”, “Elton John Live” and many other live Television events. In 2005 Joe headed to Burbank for a two-year stint as the Signature voice for NBC dramas including, Heroes, ER, and Law and Order.Joe Cipriano Voice of The Food Network. Joe continues to voice promos for outlets such as ABC, Blockbuster Ticket, Disney and for years was the signature voice of The Food Network. From 1993 to 2003 Joe served as co-host on the very successful, internationally syndicated radio program, “The World Chart Show.” This weekly two-hour count down show featured the planet’s hottest hits on 250 Radio Stations Worldwide with stories about and interviews with international music stars and celebrities. Talk about good Karma, “The World Chart Show” dedicated itself to generating international support for preservation of the planet’s reefs and rain forests, by joining in a global effort with The Nature Conservancy, a private non-profit organization. Kalpna Singh Chitnis is an American Filmmaker, Actor and Poet -joined me today at 9:30am pst! If you missed Kalpna on today's show, listen here. 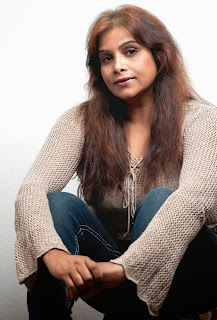 Kalpna Singh Chitnis is an American Filmmaker, Actor and Poet of East Indian descent based in California, USA. 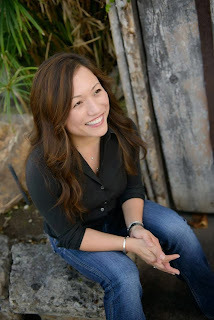 She is also the Founder, Director and CEO of the Silent River and the Silent River Film Festival in Irvine California. Born in Gaya, Bihar India, where Buddha got enlightenment, Kalpna grew up with much influence of Buddhism on her despite her Hindu background. Educated at Magadh University Bodhgaya, India and at the New York Film Academy in Universal Studios, Hollywood, she began her career as a writer and lecturer of Political Science. She also worked as an actress and a model, before turning to the film directing. Kalpna found success as a writer at a very young age and won many awards, including the prestigious Rajbhasha Award given by the government of Bihar, India, for her first poetry collection in Hindi “CHAND KA PAIVAND.” Kalpna’s writings have been published in major literary magazines and journal of Indian SubContinent, such as Hans, Kadambini, Saaptahik Hindustan, Dhramyug, Pahal, Aajkal, Navbharat Times and many others. She has also been featured in Times of India, Femina, Care and other publications in North America. After earning her Master’s Degree in Political Science from the Magadh University, Bodhagaya, Kalpna taught International Relations to the PostGraduate students at the Gaya College for a year. She was given the Title of Bihar Shree (The Jewel of Bihar) for her contribution to the Hindi literature, when she was only 21.
seven years, taking a break from her career, making family and children her main priority. In 2000 she came to California, to realize her dream of becoming a filmmaker. After graduating from the New York Film Academy in 2004, she started to make films. She is now settled in Irvine, where she raises her three young children age 10-15, follows her passion. Kalpna’s work as a filmmaker was recognized when her short film GIRL WITH AN ACCENT was screened at many film festivals and won Silver Award at the SMTV Mumbai International Film Festival in 2006. She has collaborated in making of many films ever since. Her recently completed feature film GOODBYE MY FRIEND (Adios Mi Amigo) world premiered on September 10th 2011 at the Silent River Film Festival, and had it’s South Asian premiere on January 18th 2012 at the Dhaka International Film Festival, in Bangladesh. Goodbye My Friend has also been officially selected at the 4th Guwahati International Film Festival in India and LUMS International Film Festival in Lahore, Pakistan. She is also developing the screenplay of her next feature film ALL ABOUT MY FATHER and soon to be published Poetry Collection the BARE SOUL. Her recently published Poetry Album TOUCHED BY THE DEVIL (poetry in paradox) is now available for purchase online at amazon.com and soon to be available on kalpnasinghchitnis.com. Author Patty Chang Anker﻿ joined me Monday November 18th at 9am pst! You have SOME NERVE!! We had fun! Listen here! 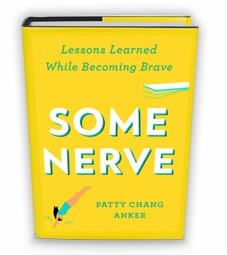 Patty Chang Anker is the author of the memoir Some Nerve: Lessons Learned While Becoming Brave . (Riverhead Books) which Parents Magazine called a “Mom Must-Read.” She blogs for PsychologyToday.com‘s Anxiety section and her own award-winning Facing Forty Upside Down. Her work has appeared in O Magazine, Marie Claire, Good Housekeeping, iVillage, The Huffington Post and in numerous other publications and websites. She has been named a Good Housekeeping ”Blogger We Love” and a “Top 25 Funny Mom” on Circle of Moms. Kelly Moneymaker joined me Monday November 11, 2013 at 9:30am on KUCI 88.9fm! Monday at 9:30am pst on KUCI 88.9fm, my second guest for the show was Kelly Moneymaker! We chatted about her new CD release of "Race Against the Sky" and so much more! If you missed the conversation, you can listen here. Kelly used to be with the 80s and 90s pop group EXPOSE'. But this solo effort is nothing like the trio. Instead, Martinis & Bikinis music newsletter calls her a mashup of 'Janis Joplin, Bonnie Raitt and Wynonna Judd". Fairbanks, Alaska is known more for it’s beauty than a happening music scene, but it did spawn soulful rock vocalist, Kelly Moneymaker. She went pro at thirteen, hit the road a year later and never looked back. Since then, she’s been busy building a diverse body of work–from country love songs for Days of Our Lives to Silvermoney’s hard-hitting, “Goddess Killer” to the rootsy blues of of her upcoming album with In The Black titled "Race Against The Sky." Former Member of Platinum Pop Trio, Exposé. PLACEMENTS ON: Grey's Anatomy, American Pie Naked Mile, Guitar Hero, Gossip Girl, Hawaii 5-0, Burn Notice, Sony's Play Station 2, Confessions of a Go-Go Girl, Teen Cribs, Parenthood, The Heat 2013 Official Trailer with Melissa McCarthy & Sandra Bullock & more. with the Bluebonnets at MOLLY MALONE'S at 9:30pm! Jayme Ritchie, Executive Director of WeeCycle called in to today's show! Jayme Ritchie, founder of WeeCycle joined me on today's show! If you missed the conversation, listen here. Jayme was born and raised in New York. Jayme came to Colorado in 1996 to attend college at the University of Colorado at Boulder where she studied Philosophy. Jayme then attended the University of Denver and graduated in 2004 with a law degree and a legal masters degree in Environmental and Natural Resources Law. She practiced environmental and natural resources law and commercial litigation for several years prior to becoming a mom and creating WeeCycle. Exew and gently used baby gear find another home. Nicholas Carr joins me Monday on Get the FUNK Out! If you missed Nicolas Carr on today's show, you can listen here. 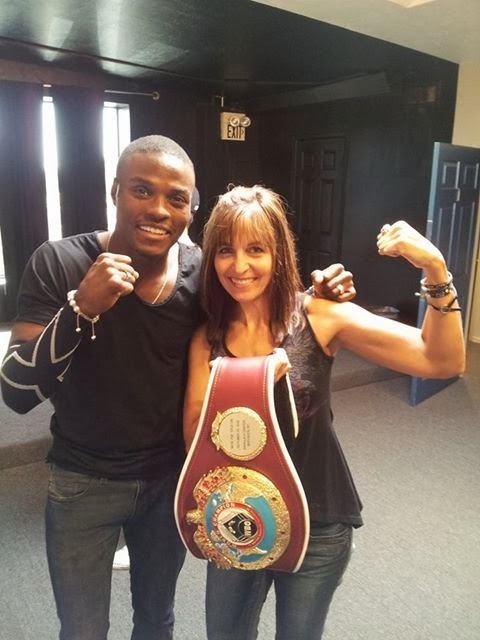 Undefeated World Boxing Organization (WBO) middleweight champion Peter "Kid Chocolate" Quillin (29-0, 21 KOs), joined me on today's show! Undefeated World Boxing Organization (WBO) middleweight champion Peter "Kid Chocolate" Quillin (29-0, 21 KOs) joined me on today's show! Such charisma and talent has led many to call him one of the top prospects in the fight game today, praise he hopes to live up to. Amazingly, when he returned in February of 2010 with a near-shutout victory over seasoned contender Fernando Zuniga, it was as if he never left, and after a keep busy knockout of Martin Desjardins in December of 2010, he made three big statements in 2011 with early stoppages of Dennis Sharpe, Jesse Brinkley and Craig McEwan. KICK YOUR WEEKEND INTO GEAR WITH KELLY'S LOT! 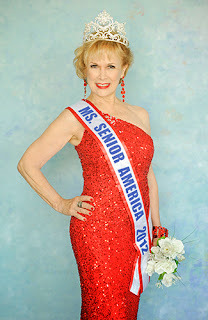 Ms. Senior America Elisabeth Howard and CEO for the Ms. Senior California Pageant program, Pamela Wheeler, join me on Get the FUNK Out tomorrow at 9am pst! Ms. Senior America Elisabeth Howard and Pamela Wheeler, the CEO for the Ms. Senior California Pageant program joined me this morning on Get the FUNK Out!. Oh, and did I mention Elisabeth is an opera singer and looks amazing for 72 years of age?! The show aired LIVE Monday at 9am pst on KUCI88.9fm and streaming on www.kuci.org. If you missed it, you can listen to the entire show here. The reigning Ms. Senior America Elisabeth Howard (from Los Angeles) will be giving up her crown at the end of this month in Atlantic City! She represents the American woman 60 years and older for our Nation! The newly crowded Ms. Senior California is Alise Richel (from Santa Monica). She won the title August 25th and will be going to Atlantic City to vie for the crown of Ms. Senior America October 25th. Alise bested 13 women from across the state of California to win the title. Oh, and did I mention she is 80 years old! BOTH ladies are opera singers and represent the "Age of Elegance" - those seniors over 60 years of age; Elisabeth is 72 and Alise is 80 years old AND they don't look it or do they act it! Alise had a standing ovation during her talent competition when she sang Puccini opera Turandot, the aria Nessun Dorma (None Shall Sleep). It was like being at the Met! These ladies are a great example of how age is NOT deterring their dreams or stopping them from living life to the fullest! And they certainly don’t look or act like senior citizens! 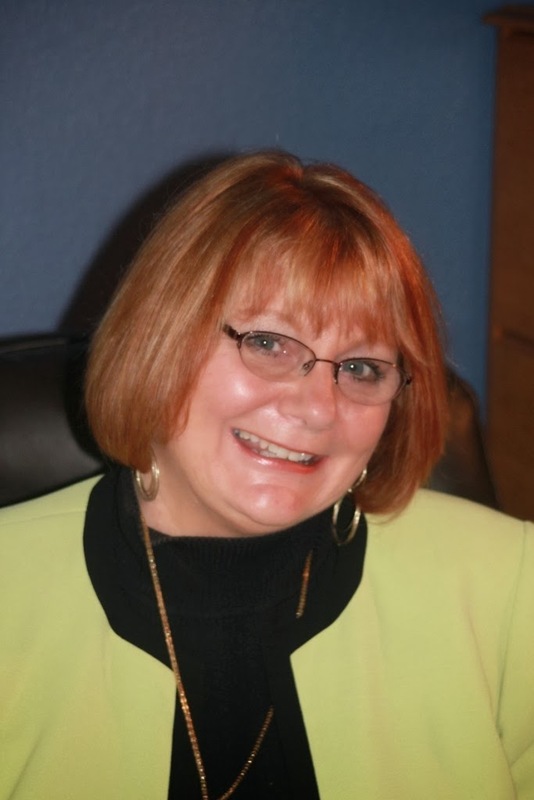 Pamela has a background in corporate leadership, management and relationship development after serving many years in the public sector where she was the Senior Vice President of an Irvine-based staffing company. 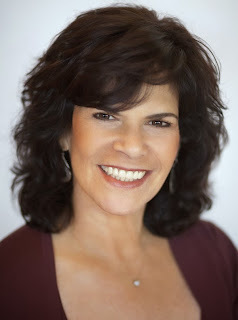 Upon announcement of the retirement of Marilyn Kohler, former director of the California program, Pamela was selected by the Board of Directors of the Ms. Senior California of America Inc. 501(c)3 to assume leadership of the Board as CEO to include overall responsibility for the rapidly growing California pageant program. During a successful career in leadership at the California-based firm, Ms. Wheeler was responsible for business development and branch operations for 37 business units. Under her leadership, top line revenue of the organization grew from less than $10 million annually to exceed $100 million in 2005, 2006, and 2007. She was responsible for executive relationship development with all major clients, in addition to leading the ongoing development and refinement of Managed Staffing program protocols for high-profile clients. Responsibility also included contract negotiations with large clients as well as transactional clients. As a senior executive, she participated in setting the strategic direction for the organization. Her leadership role also included her involvement in the development of branch-related performance metrics, customer-oriented protocols and best practices for business units. Within a few years of retiring from her Corporate Life, she participated in the Ms. Senior California of America Pageant and won the Ms. Senior California title in 2010. Over the course of the past several years, she has directed the Orange County Preliminary Pageant and judged several pageants in other national pageant programs. Her corporate background and leadership experience positioned her well for the CEO role of the California pageant program. Pamela is also a member of the Board of Trustees of the Concordia University Foundation, Irvine, California. Additionally, she is a Board member of South Coast Children's Society, headquartered in Santa Ana, California. She is a member of the Gary Bonner Singers, and as a professional singer, she performs with "Classic Touch" and "The Eternelles." Get into the Spirit of Underground Radio! 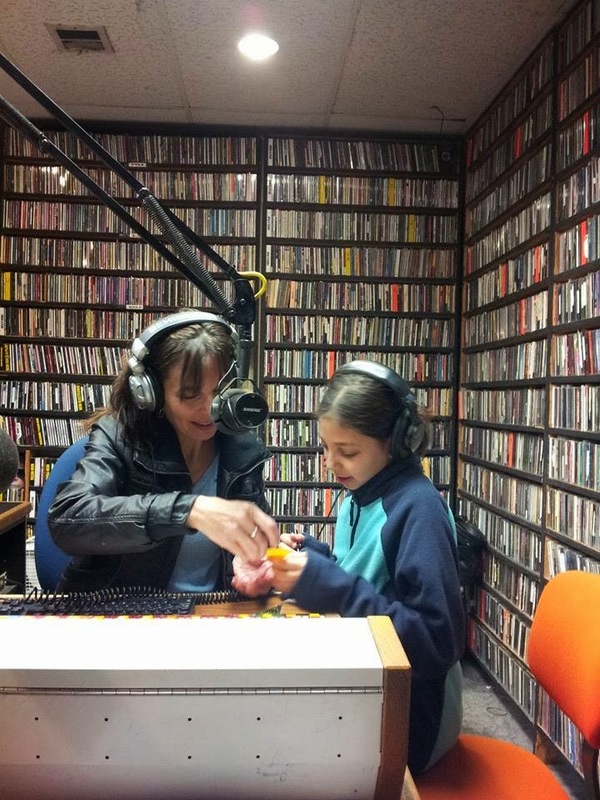 Donate to KUCI between October 28-November 8 and show some love for independent radio! 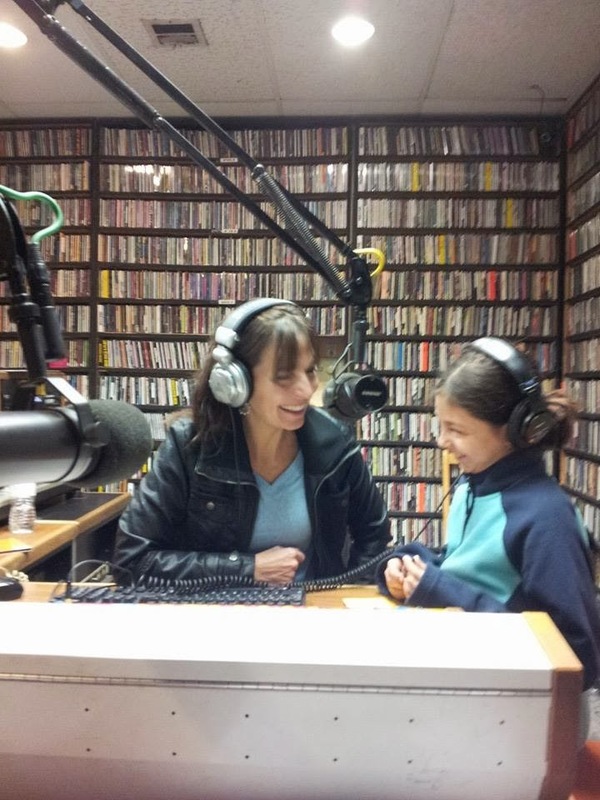 New promo airing soon to promote KUCI's up-coming Fall Fund Drive! Listen here to get into the Spirit of Underground Radio! Nick Jordan, creator of Wells of Life, and Advisory Board Member, Michelle Yegsigian joined me at 9:30am today! President of Wells of Life Nick Jordan and Advisory Board Member Michelle Yegsigian joined me today to talk about how they are inspiring people of all ages to build water wells for the people of Uganda. If you missed the show today, you can hear our entire conversation here. Wells of Life exists to solve the world water crisis, one well at a time. We were founded in 2008 with a commitment to bring clean water to one million people by 2020 with the funding of 1,000 water wells. We have worked closely with Fields of Life and witnessed the tremendous lifesaving work they have been doing since 1995 in many areas including Health Education and bringing the gospel message to thousands in Uganda. Wells of Life holds the committed belief that the tap root of poverty is lack of clean water. We focus exclusively on raising both awareness and needed funding to provide communities with the gift of clean water. We work alongside Fields of Life who own and operate the drilling equipment and who drill the water wells. Based in Laguna Beach, we received our own charitable status earlier this year (2012). We are focused on three main areas: corporations, schools and families. We see all three as spanning a bridge of human awareness that will grow our outreach into all areas of the community around us. By providing a water well and dedicating it in the donor's name, we make this one of the most personal and most measurable gifts possible. A water well offers the gift of life to a community that lacks clean water. With clean water this community can begin to grow into a self sustainable community. Everything begins with clean water and with it, anything is possible. In the future we hope to arrange for trips to Uganda so donors can see first-hand the miracles their donations bring about every day. It is our mission to create a world where each person has access to water as a basic human right. With your help we can accomplish this. For more information, visit: www.wellsoflife.org. Marcelo Lewin talks about his Comic Book Adventure tomorrow at 9am pst! Coming up tomorrow morning at 9am on my Get the FUNK Out Show....Marcelo Lewin joins me! If you missed today's show, you can hear my conversation with Marcelo right here. Marcelo Lewin started his career as a web developer and has always stayed a very technical and hands on person. Through the years, he's held many positions in the technology industry including that of a Senior Web Developer, Project Manager, Product Manager, Director, VP, General Manager and Director of Interactive Media. Being an entrepreneur at heart, Marcelo has created 3 companies in the past including My Internet Desktop, which was acquired by Internet Appliance Network; Pixel Heads Network, which was acquired by ProMAX Systems; and Filmmaking Webinars, which was acquired by Moviola. Marcelo recently became a huge fan of comic books and has started an online business called Comic Book Tracker, where users will be able to track their comic book collections, get notifications on upcoming issues, plus much more. This new website is scheduled to go live in December of 2013. To instill a spirit of entrepreneurship in his sons, Marcelo along with his 2 sons have created a small company called JCM Cards where they sell Magic The Gathering Cards online. Marcelo loves comic books, movies, TV shows, photography, podcasting, shooting videos, plus anything related to media creation. He also loves spending time with his wife and 2 sons watching geeky shows and playing geeky games. Feel free to contact Marcelo via email at marcelo@mycomicbookadventure.com. Olivia Vicky Lee joins me Monday on Get the FUNK Out! 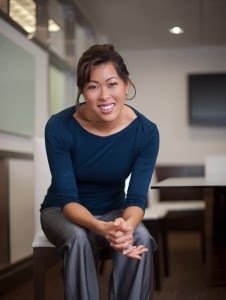 If you missed Vicky Lee on the show this morning, you can listen to our entire conversation here. Wanted to remind you of Vicky's upcoming workshop at The Shed in Dana Point. It's FREE and they have a few spots open on Sat 12th or Sat 19th (10AM- 11AM). The Shed fine Art will feature an intimate setting with Olivia Vicky Lee (www.meaningandlifepurpose.com). 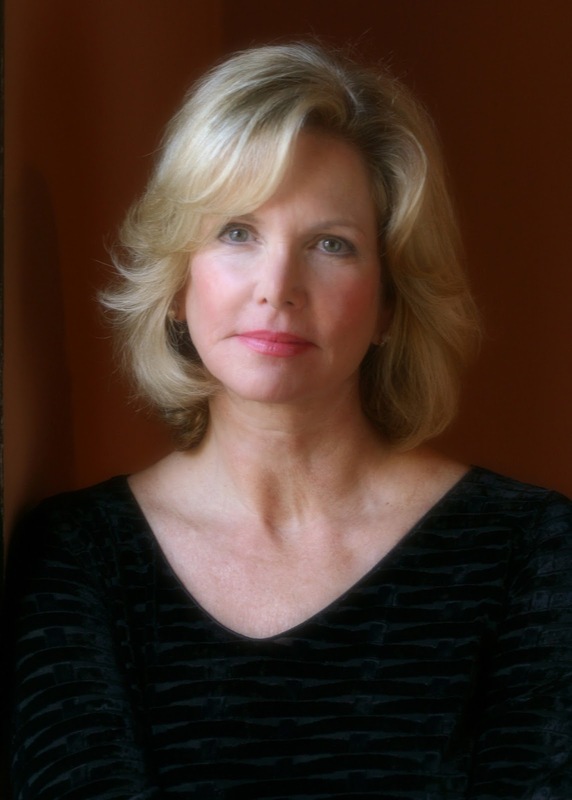 She is the Author and Life Coach to Fortune 100 Company Executives. AKA "the CEO's secret weapon to solve problems and map out the path to success". About Olivia Vicky Lee & Vision Boards! I help individuals and corporate teams build a visual map of their challenges. The results are personal transformation, increased profits and improved relationships. After the first few minutes of talking with her, you will probably be astounded at how well she knows you. You’ll suddenly have realizations, eye-opening clarity. She's spent her whole life with this ability to touch someone’s soul. Your soul is the same thing as your personal power. When you feel deeply inspired, ultimate self-confidence, at your peak performance— this is when you are living in pure alignment with your soul. You can see then, why she tends to attract high-powered, high-profile individuals such as CEO’s, serial entrepreneurs and those who have a lot at stake. Their success will make or break them. Often times, it does both. These are the kind of folks who need her. Have you ever searched your whole life for something? Maybe it’s true love, maybe it’s your big break to be named partner at your firm, maybe it’s funding for a new business venture or to be declared cancer-free? That’s the moment! That feeling, that surge of power… when you get it. She sees that moment often in her coaching practice. She sees people “get it!” And it’s like watching someone find their soul, their true love, their power, their highest self and fulfill their maximum potential for the first time. To her, it’s beautiful. It’s the reason why she was born. How did she become a coach? When she was 13, an angel landed on her windowsill. She was blinded with a soft white light while praying. God or the angel? Someone from up above whispered inside she heart. She knew who she was. She helps people succeed. For the next 22 years, she studied with Native Indian shaman, Hawaiian kahuna, Brazilian miracle healers, New Age philosophers, religion, self-empowerment programs and lived with indigenous tribes learning their sacred ways of healing. While farming knee-deep in mud with a family of native taro farmers on the north shore of Kaua’i, she realized that it was time to fulfill her calling. All her life, she had been hand-plucked by the best to become the best. How will she help you? She's developed and refined a proven methodology she uses in her private practice, New Age classrooms and in corporate boardrooms. It’s called, “Vision Mapping.” It’s your roadmap to your success. You can build a vision map of anything that you want—- an abundant lifestyle, romance, a great body, a stunning career. The first step is similar to the conventional vision boards you see on Oprah and The Secret. From there on…. everything else is different. The real reason you’re not living the dream life pictured on your vision board will quickly surface. You get your first “aha,” right away. It seems like a huge breakthrough! Wait, we’re not done yet. We keep going higher and higher, further and further…. until you’ve got a detailed game plan with concrete next steps that practically guarantee your success. The only coaching that happens from this point on is making sure you’re executing the secrets of your success outlined on your vision map. Naturally, you will want to build more vision maps of other areas of your life. You will have a powerful tool that you can use over and over again, that always works for you. Your vision map helps you get unstuck and move forward. The best part is I teach you how to use your vision map and how to re-create it whenever you want. Hear the latest show promo right here! 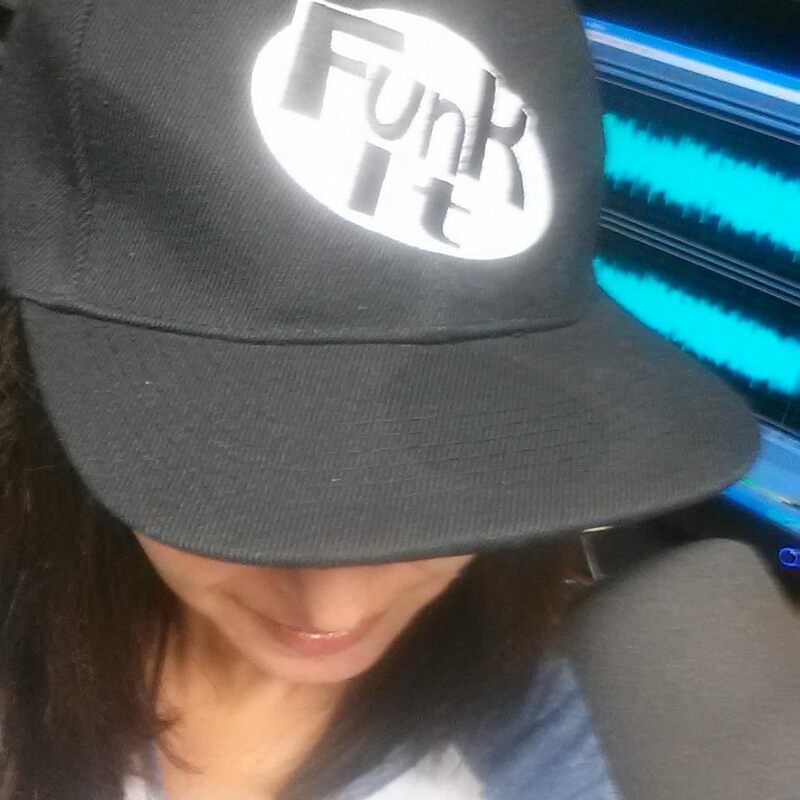 Interested in being a guest on Get the FUNK Out? Want to call in to the show and share your story of how you survived a crazy funk, only to become a stronger, more courageous person? Well, what are you waiting for?! E-mail Janeane, share your story and tell why you think you would be a great inspiration to others going through a funk! You can even share your mantra (if you have one) and brief story of your funk and how you made it through. Alma Schneider joins me Monday on Get the FUNK Out! If you missed Alma on today's show, what's the matter with you?! She was inspiring, enlightening and a delight to have on the show! Listen here to hear our conversation, especially all of you parents who feel you have lost your 'creative sparkle' after having kids and juggling this crazy roller coaster ride of adulthood! In 2005 Alma combined her love of music and background in community organizing to found Parents Who Rock, in order to help parents re-connect with their musical past through organized performances for charity. Prior to that, Alma worked as a Social Worker in a New York City settlement house, and in private practice as a therapist. Alma holds a Bachelors Degree in Psychology from the University of Wisconsin, and a Masters Degree in Social Work from Hunter College. Alma is also Founder and CEO of Take Back the Kitchen LLC (www.takebackthekitchen.com), where she combines her background in counseling with her other passion, cooking, to help women overcome the common and individual obstacles to achieving their goals in the kitchen. 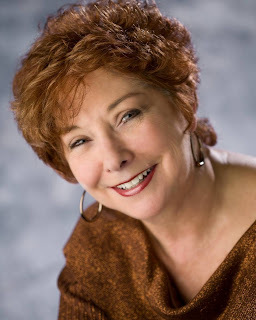 Author Judith Whitmore joins me Monday 9am on Get the FUNK Out! 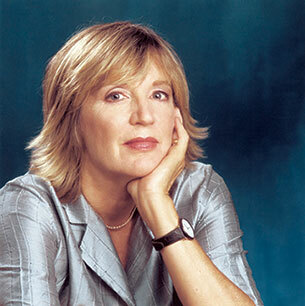 Judith Whitmore is the author of Come Fly With Me, a novel inspired by her life in the clouds. The novel debuted April 2013 and has already earned several awards and honors. If you missed Judy on today's show, you can listen to the entire conversation here. To learn more about Judith Whitmore and her other works, please visit www.judithwhitmore.com. My parents named me Judy...after Judy Garland. I was blessed with a mother who believed exposure to the great musicals of the 1940's and 1950's was as important as learning your ABC’s. She would often rush into my room and say something like, “Your algebra can wait, Singing in the Rain is on TV,” her attitude no doubt prejudiced by her father’s position as a violinist in the MGM Studio Orchestra. Whenever you see The Wizard of Oz or Meet Me in St. Louis, and you hear those amazing violins...one of them was Grandpa. Skipping homework to watch movies was sort of like spending time with him. Grandma was also a musician. At thirteen, she supported herself as a pianist in silent movie theaters. With an eye toward growing the family’s musical tree, Mom enrolled me in singing and dancing lessons early on. I “Shuffled Off To Buffalo,” with my pre-adolescent imitations of Ginger Rodgers, Doris Day, and Carmen Miranda for my parents’ friends, our Japanese gardener who spoke no English, and lost travelers who knocked on the door of our then rural San Fernando Valley home seeking directions. I practiced the piano every day, because my mother said it would make me popular. My immersion into the world of Cole Porter, Johnny Mercer, and Rodgers and Hammerstein led to a bizarre obsession. I spent my childhood waiting for a hidden orchestra to materialize at Riverside Drive Elementary School, tormented by the thought: How would my classmates know the dance steps when that happened? And why not? My mother’s life was glamorous - - a house with a swimming pool, a charge card at Saks, and a weekly afternoon card game where she and her friends ate coffee cake and smoked cigarettes. Dad loved seeing her enjoy herself. She was the love of his life. Dad’s family came from Russia...Poland...Russia...Poland. The border kept changing, so they had to learn a lot of different languages. When I was fifteen, my folks wouldn’t let me go to Palm Springs for Easter break, but when my grandmother was fifteen, she kissed her parents goodbye and walked across Europe by herself...from Russia to Amsterdam. She arrived in New York, found work in a sweatshop, and eventually earned enough to bring her eight brothers and sisters, her parents, and her own grandparents to America. Whenever I have to do something really difficult, I remember I have her genes. My Dad and Mom met when they were both in the army. Yes, that’s right. I am the only person I know whose mother served in the Army during World War II. On my piano is a photo of a woman in uniform. It looks like a head shot of Rita Hayworth. It’s not. Dad thought Mom was a knockout. She was. When my father was wounded during WWII, Douglas MacArthur came to his bedside to personally award him two Silver Stars and a Bronze Star along with a Purple Heart. Dad taught me to be relentless when setting goals for myself, and his life and deeds speak volumes about the value of hard work, perseverance, and loyalty. To this day, my heart belongs to him. I held out for someone just like Dad, adopting Snow White’s mantra -- “Someday My Prince Will Come.” He finally showed up in the form of a fine young man from Beverly Hills. We married, had two children, and promptly gave up the family castle for a mountaintop home in Aspen. I learned to ski, can peaches, and saddle a horse. Our closest neighbors were the singer John Denver and his wife Annie. I cherish the memory of a camping trip we all took with our children. Instead of an alarm clock, I was awakened to John sitting outside our tent, strumming his guitar and singing Rocky Mountain High. 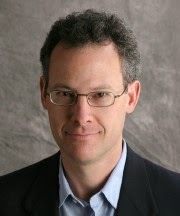 I served as President of American Theatre Company in Aspen for six years. During that time we presented Julie Harris in The Belle of Ameherst, Hal Holbrook in Mark Twain Tonight, Vincent Price as Oscar Wilde, and numerous other wandering minstrels. We produced our own shows in the summertime; among them, Barefoot in the Park, The Voice of the Turtle, The Tavern, and Mass Appeal with John Travolta and Charles Durning. During the same period, I was president of The Aspen Playwright’s Conference. We premiered fifteen American plays, including A.R. Gurney’s The Golden Age, and Mark Medoff’s The Majestic Kid. When I had had my fill of pulling porcupine quills from my dogs’ noses, I returned to L.A. where I undertook my first independent theater endeavor- - producing Taking a Chance on Love. With a rave review from Variety, I headed to London. I bought a house in Chelsea and co-produced Leonard Bernstein’s Wonderful Town. About that time, my second Prince (this time it would be “happily ever after”) came along and I settled down in Pacific Palisades, California. After having enough therapy to undoubtedly pay for my therapist’s swimming pool and her Mercedes, I decided I liked the process. I went back to college and earned my Master’s in Clinical Psychology. I gave up my West Los Angeles practice in 2001 when I moved to Newport Beach and became a writer. I am passionate about Beethoven’s Ninth, New York theater, and The Lincoln and Jefferson Memorials in Washington. I cry every time I visit. I adore thin-crust pizza, In ‘n Out Burgers, and pasta with truffles. I’m in awe of my sister and brother, who have devoted twenty-five years to the kids at the Dream Street Foundation, and I love my children more than life itself. Flying has been a lifelong passion since the day I took my first lesson to overcome my fear of planes. My pilot’s license says the FAA trusts me to fly single and multi-engine planes, a Learjet, a Citation jet, a seaplane, and a hot-air balloon. During my time in Aspen, I worked on quite a few search and rescue operations as a member of Air Rescue. I love to cook, especially the recipes I learned from my two grandmothers, and I still try to practice the piano every day. My favorite pastime is making music surrounded by my family and friends. I do a great rendition of The Best Things in Life Are Free. Jerri Rosen, CEO/ Founder Working Wardrobes, joins me Monday at 9:30am! 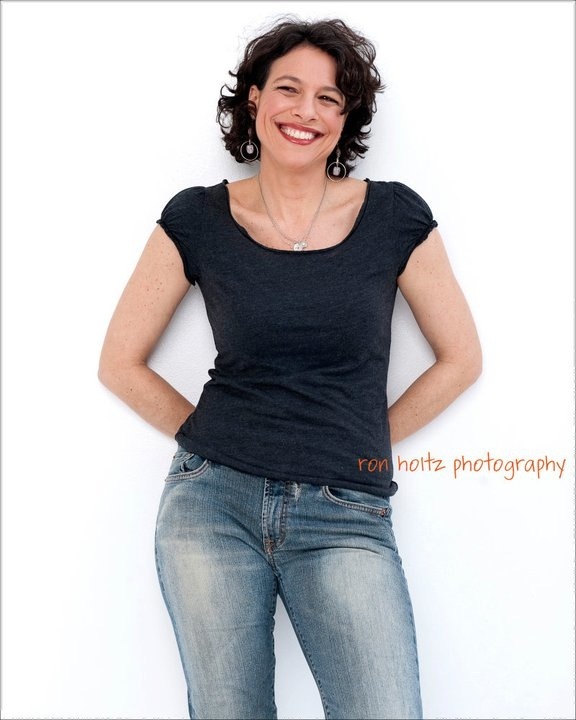 If you missed Jerri Rosen on today's show, you can hear our entire conversation here. Twenty three years after it was conceived, Working Wardrobes is going strong and looking forward to many more years of ensuring great success for its clients. We are committed to helping men, women, veterans and young adults emerging from life crises re-enter the workforce with career development and wardrobe services. In 1990, Jerri Rosen, now CEO, and five friends were disturbed by the growing statistics of domestic violence. The group set out on a mission to help those in need. Intending to last for only one year, they gathered clothing and accessories, stored them in Jerri’s office, and held the first-ever Day of Self-EsteemTM. Serving 67 women from six shelters, the event was a life-changing experience - the first effort of this kind in Orange County- and the foundation on which Working Wardrobes is based. A few years later Jerri introduced an idea to expand the base of clients served by Working Wardrobes. Her idea was to help men, as well as women, reclaim their dignity and return to work. In 1997, a partnership with George Zimmer and the Men’s Wearhouse took Working Wardrobes to a new level with the introduction of a Men’s Day of Self-Esteem. Now women and men could receive a helping hand as they emerged from addiction recovery centers, prison re-entry services and CalWorks programs. In 2000, Working Wardrobes expanded its client base again, this time reaching out to emancipating and at-risk youth. The goal was to encourage young adults along a positive educational and career path, helping them recognize and avoid the pitfalls that lead to unemployment and poverty. A separate Day of Self-Esteem was held, and an extensive series of life and career skills workshops were developed that included goal-setting, career coaching and presentation skills. Two years later, a Cinderellas for Life event was added to the lineup to help young ladies from low-income families prepare for prom. After seeing the impact made in the young ladies lives, Working Wardrobes wanted to serve young men as well. In 2011, Working Wardrobes created Dream Girls and Distinguished Gentlemen to provide prom dresses and tuxedos, along with all of the necessary accessories, to young ladies and gentlemen from low-income families. The event also helps teens plan for the future with workshops on etiquette, self-esteem and goal setting. In addition to helping participating teens, Dream Girls and Distinguished Gentlemen provides a lifetime of memories for hundreds of volunteers. Remaining dresses are donated to female Marines and military wives so they can attend the annual U.S. Marine Corps Ball at Camp Pendleton. Another inventive aspect of Working Wardrobes is its ability and resources to help veterans reintegrate back into civilian life. Although the organization has been serving veterans for eight years, in 2011 it expanded the scope of services it provides to veterans by creating VetNet, a safety net for veterans. From outreach to enrollment and through job training, placement and follow-up, VetNet uses an integrated case management approach to directly link clients to supportive services available through the partnerships. Today, Working Wardrobes is located in Costa Mesa, California in a facility that houses its administrative offices, Career Center and Donation Center. With the expansion of services and support, Working Wardrobes helps 5,000 men and women re-enter the workforce each year. Days of Self-Esteem and Success Graduations for women and for men continue to be exciting annual events that draw hundreds of volunteers who often find many other ways to support the organization. The Career Center provides vital services on a daily basis. Here, clients receive access to a nationally-recognized customer service certification program, career and life-skills workshops, a full-service computer lab to post resumes, career assessments and online job searches, as well as access to wardrobe services. Working Wardrobes has also expanded its enterprise to include two upscale boutiques and two thrift shops. All of the proceeds from these stores benefit the clients served by Working Wardrobes and allow clients to get on the job customer service training. Working Wardrobes owes much gratitude to the Board of Directors, The SMART Women giving circle, generous corporate and individual donors, and the thousands of volunteers that have made success possible. Working Wardrobes has made a difference in nearly 65,000 clients’ lives and many more thousands of volunteer lives and will continue to do so well into the future. The Career Center in Costa Mesa is open for tours Monday through Friday, 9 a.m. – 5 p.m. Please contact Megan Harless, VP Business Development at meganh@workingwardrobes.org to schedule a tour. Accomplished singer, songwriter, percussionist and engaging front woman Stacy Robin joins me at 9am pst on Get the FUNK Out! If you missed Stacy on today's show, you can hear our conversation here. TUNE in this Monday August 12th, when I chat with special guest Stacy Robin! We'll be chatting about her latest CD, listening to a few tracks, and finding out how she continues to juggle career, motherhood and a drive to create inspiring music (her latest CD is the BOMB!). Accomplished singer, songwriter, percussionist and engaging front woman Stacy Robin creates a colorful musical palette with a fusion of pop, rock, folk & world music, lush vocals and intimate lyrical style. Her music takes you on a journey from playful odes to painful laments, from infectious hooks to deep introspection, and touches every emotion in between. Stacy’s songs been heard on TV and film including the movie “The Stranger Beside Me” starring Mark Harmon, the CBS drama “The Unit” and TV ads for Gateway Computers and Toyota as well as radio ads for Wal-Mart. She has also donated the use of her music to non-profit organizations such as Step-Up Women's Network, Americans for Medical Progress, and Cedars-Sinai. 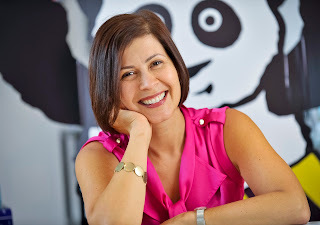 Get ready for a powerhouse show Monday morning with special guest Julia Pimsleur! If you missed today's show with Julia Pimsleur, listen to the entire conversation here. Julia created a company called Little Pim for her own two boys and out of a desire to democratize language learning for kids. All children deserve the benefits of being multi-lingual in today’s global economy and Little Pim makes that fun, easy and affordable. Little Pim is one of the few women-run businesses backed by venture capital in the country, with an expanding international footprint. The company’s mission is to transform how children learn languages. The series has won 25+ awards for its proprietary Entertainment Immersion Method® and can be found at Toys R Us, Barnes & Noble, on Leapfrog tablets, in iTunes, Nook and other digital devices. Julia is dedicated to helping women entrepreneurs get further faster. Her personal motto is “Fortes fortuna juvat” (fortune favors the brave), a message she is taking to women across America through her blog and workshops about raising angel and venture capital. Julia is helping hundreds of women entrepreneurs access capital via her Double Digit Academy quarterly boot camp (www.doubledigitacademy.com). Prior to founding Little Pim, Julia was the co-founder and CEO of a film production company, which produced social justice documentaries sold to HBO, Cinemax Reellife and PBS. Julia’s dedication to social change took the form of fundraising as well as filmmaking, and she drove $20M in contributions to international human rights organizations. Julia is an award-winning filmmaker who grew up in the language teaching business, as the daughter of language teaching pioneer, Dr. Paul Pimsleur. Julia currently serves on the Advisory Board of Global Language Project, a nonprofit which brings free foreign language instruction to kids in disadvantaged public schools, and as Communications Chair of Entrepreneurs’ Organization (EO). Julia earned her B.A. from Yale University, an M.F.A from the French National Film School in Paris and attended Harvard’s Executive Education Program. She lives in Manhattan with her husband and two young boys. Past speaking engagements include: Stanford University, Yale University, NYU Stern Business School and Women Entrepreneurs Festival. Julia is a regular contributor to the Forbes Entrepreneur section and has been featured on TODAY, NBC Weekend Today, Fox News, in Business Week, Wall Street Journal, New York Times and Daily Shot with Ali Wentworth. You can follow her at @juliapimsleur.